Ready to reduce your grocery bill? Give these 8 simple ways to save money on groceries a try and you’re guaranteed to see results! Who knew lowering your grocery bill could be so easy? I know a lot of people dislike grocery shopping, partly because they don’t enjoy the actual shopping itself, but also because they dread needing to shell out so much of their hard earned money at the register! Here’s the thing. There are some simple, easy things that you can do to save money on groceries and reduce your grocery bill. Part of the reason I love grocery shopping so much is because I’ve learned how to do these things well. Now instead of it being a drudgery, it’s become a challenge to figure out what I need to do to save and keep our grocery bill at $225/mo. I want to share these little tricks with you so that you can save money on groceries too. And really, it’s up to you how much you want to save. You can do all of these things and you’ll save a bundle! Or you can just implement one or two of these methods and you’ll still enjoy a lower grocery bill. This one is so important and is probably one of the easiest ways to save big. If you never bother to look at your store’s grocery sales flyer before you go shopping, you are doing yourself a big disservice. By taking a couple of minutes to flip through the sales flyer you can shop so much more strategically and save yourself a lot of money! Here’s what I do and recommend. Each week before you head to the store, grab the store’s sales flyer, look through it and circle any items that you could use that are a great buy. Even if it’s something that you don’t really need right now, but it’s a great buy and is something you will or could use in the near future and will store well, I recommend getting it. You can build a small stockpile this way and having a small grocery stockpile is one of the things that helps me save lots of money on my groceries each month. I like to especially take notice of deals on produce, meat and dairy since those are things that I always use and can easily quickly up your grocery bill. Learning to be okay with eating whatever produce is on sale for the week will save you a lot over time! Once you buy your sale items, then you can plan your meals for the week around those items instead of creating your list and just buying whatever you jolly well please, no matter the cost! If you don’t get the sales flyers in the mail, go to the store’s website and pull it up there. Then just jot down a list of any sale items that you want to buy. Ever gone to the store to get a sale item only to feel defeated because they had run out and didn’t have any more in stock? Most times you don’t have to miss out on the sale…you can simply get a rain check to enjoy the sale price the next time you shop! I’ve actually learned to really love rain checks because I can often use them to save myself even more money! I do this by watching for coupons for the rain check item and then redeem the rain check once I have a coupon to go along with the item. This allows me to save even more than I would have originally! Most major chain grocery stores have store saving cards that you need to use in order to get the sale prices. 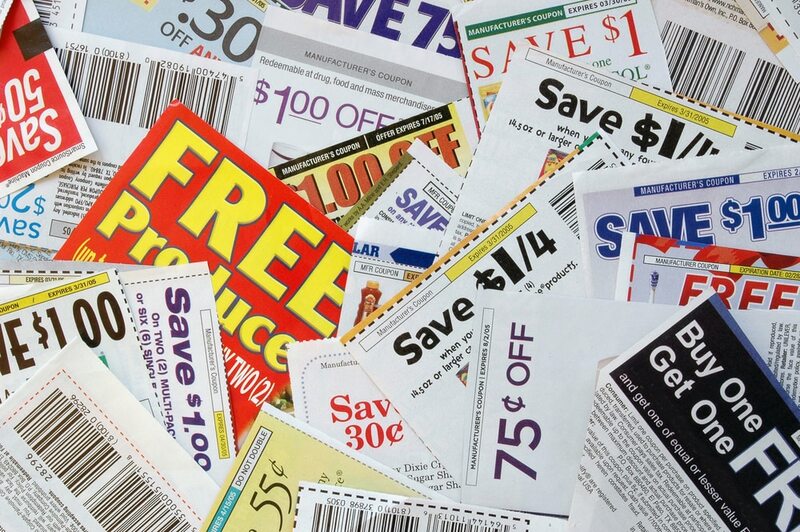 While it’s kind of annoying to need to have a card to keep track of, the one good thing is that many times stores will have coupons on their website that you can load to your store card to save money on the things you’d be purchasing anyway. I typically go into my account every week and activate every offer that I think there may be any chance of me purchasing- even if I’m not sure that I will be buying that item. Because if there happens to be a great sale on it and I end up buying it, that extra load to card savings will be awesome! Sometimes grocery stores will even offer load to card coupons that allow you to get a certain product for free or to save a certain amount in a specific grocery department. For example, this week Giant Foods had load to card offers that allowed me to get Free organic snack crackers and Tic Tacs. There also was an offer to save $3 off a $12 frozen foods purchase. Last week I used a load to card offer at Shoprite that got me Arlo all natural cream cheese for totally free. There’s nothing more fun than getting free food! Go to the website of the grocery stores that you shop at regularly and create an account if you don’t already have one. Then look around and see what kinds of savings they offer in your account. Some stores have other special features that are linked to your store card that can save you even more money. Shoprite’s Downtime Dollars is an example of this- you can earn savings on your grocery purchases by watching videos and answering a few short polls. I love using my smartphone to save me money at the grocery store. In fact, using money saving grocery apps is one of my favorite ways to save! The great thing about these apps is that often they’ll have savings offers that are good on any brand of a product such as milk, bread, fruit, diapers and more. Combine grocery app savings with paper coupons and store load to card coupons for maximum savings! I know a lot of people think using paper coupons is just too much hassle. And I get it, they do take a bit of time to find and use. But if you really want to save money on groceries, using coupons is one of the things that you can do to save significantly! I estimate that I save well over $1,000 a year just by using paper coupons! Crazy, I know. But it’s true. In fact just this week I saved $32.50 on my groceries thanks to those little slips of paper. 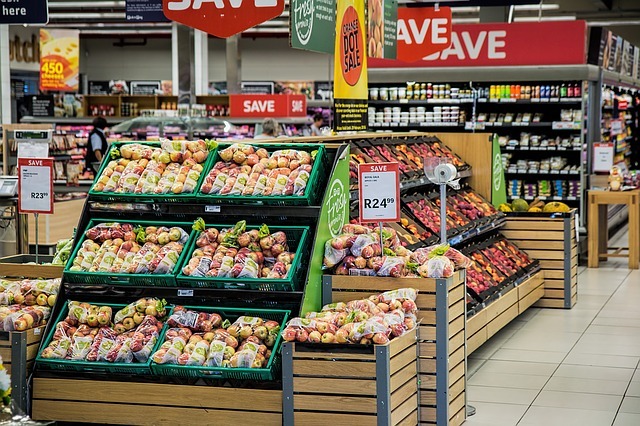 If you are interested in using coupons to save money on groceries, I highly recommend finding a blog that does coupon matchups for the store(s) you shop at. This will save you a ton of time since the blog will have a list of all the deals that you can possibly get and which coupons to use to get those deals. Basically, they’ll do most of the work for you and you can just enjoy the savings! To find a blog that does the coupon matchups for your store, Google something like “store name + coupon matchups” or “store name + deals”. (example: Shoprite coupon matchups). Want to see if there is a coupon available for an item you want to purchase? Search this coupon database! When buying a specific product, it can be hard to know which brand and which package is actually the best deal all around. This is where unit prices become your friend! On the shelf price tag, you should see a price per ounce or another unit of measurement. Use this to quickly compare prices between brands and package sizing and get the best bang for your buck! Don’t assume that generic is always the cheapest! If a brand name version is on sale, it’s not uncommon for it to be cheaper than the generic version. Learn to scan the unit prices to quickly make sure you are grabbing the cheapest item and saving as much money as possible! Sometimes the convenience of buying pre-made items is worth it. But just remember that any time something is cut, individually packaged or premixed, you pay for the convenience. 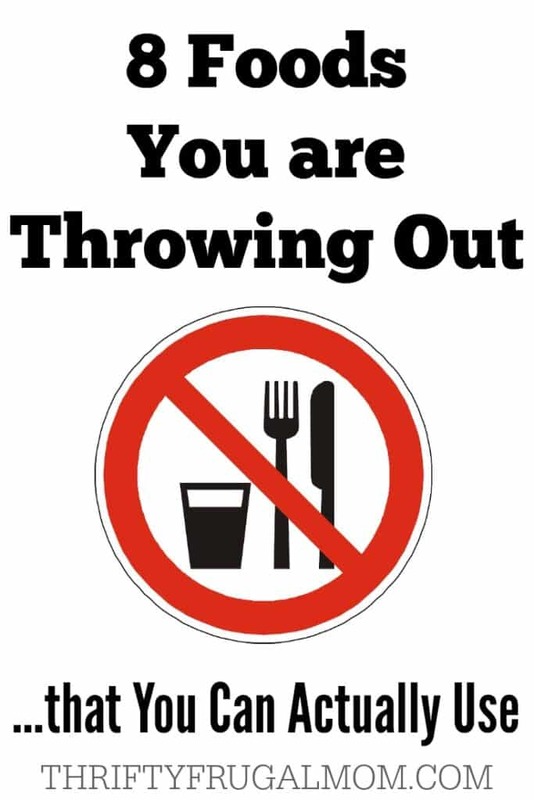 Make your own convenience foods instead! Buy larger packages of snacks and take a couple of minutes and divvy them out into individual Ziploc bags. Spend a few extra minutes and create your own “Bisquick” Mix, Homemade Cream Soup, Homemade “Cool Whip”, Chocolate Syrup, Easy Chocolate Cake, Salad Dressing, Onion Soup Mix, Granola, Chocolate Frosting, Homemade Taco Seasoning and well, you get the idea. There are so many things that you can make yourself that don’t take a lot of time but will save you lots of money in the long run! If you are used to buying lots of convenience and pre-packaged foods, it might feel overwhelming to think of making your own alternatives from scratch. I recommend choosing just one or two to make yourself and then once you get used to making those and it feels normal, try eliminating another pre-packaged food and making your own instead. This will help it feel less overwhelming and more doable! Unless you are a vegetarian, meat is probably one of your biggest grocery expenses. Thankfully, there are some simple things you can do to cut your meat costs. Watch for meat that is marked down for quick sale. I’ve found some stores seem to have more of this than others, but it’s worth a quick walk by the meat cases when you are grocery shopping. My favorite way to save on meat though is to buy it in bulk. Grocery stores often price their larger packages of meat at a cheaper price and if you watch for sales on the family size packages, you can often do quite well. If one package is more than you’ll use, just freeze it! WHAT ARE YOUR FAVORITE WAYS TO SAVE ON YOUR GROCERY BILL? I have a Zaycon delivery next week and the chicken was a great price! I hope it's as good as its price! I do look at clearance items at the market, especially meats and dairy. I will use any type of meat for stew and find that stew meat may be more expensive than sirloin....So, I go with the cheapest meat price and not so much the cut! I try to buy only what I need. When the family was younger and very active, we would buy a 16 lb turkey! Now, we try to keep it around 7 lb. We are all getting older and not as active. I do a pantry challenge where I only use items that I have on hand! I can get quite creative. Some meals may be meatless or I may have different sides that make a meal. I also use allrecipes.com and plug in my ingredients on hand and it will show different recipes. A very cool feature. If something isn't on sale, we don't usually buy it. We live without it. Fruits can be expensive , so I consider different ways of finding them at a good price. If fresh is $1.99/lb, I may get a 1 lb can for $1 or frozen for a better price. We've had great experiences with Zaycon and so many of my friends and readers have too. I hope you like it. And I love your idea of using any type of meat for stews. I often just substitute ground beef because it's cheaper and even though it's not traditional soup meat, it still tastes good! I've had a lot of people tell me about that allrecipes.com feature. I need to check it out! Thanks for sharing your tips...I loved reading them! Too funny, Lydia, because I've totally thought about shopping for other people too! :-) I do love finding everyone a good deal! Grocery shopping is a chore I never mind, and I agree, my stock-pile saves me so much money! I'm getting ready to stock up on lots of baking goods with the November and December sales almost upon us. I love a good sale!